With a current lack of housing and more buyers than there are properties on the market, many homeowners are staying put for now and investing their time and money into improving their home, ready to put it on the market in a year or so. 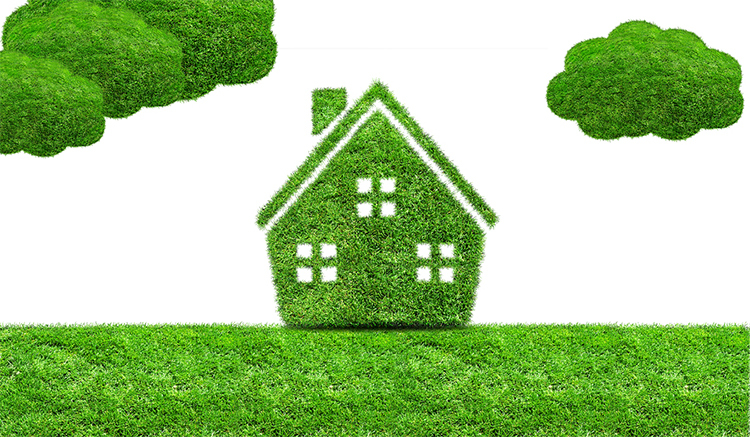 Adding environmental value to your home will not only save you money when it comes to paying bills, but it is also a good investment into your property and will increase the net worth of the building. According to research carried out by the Energy Saving Trust, carbon appeal is actually set to be a bigger consideration than curb appeal when it comes to buying a new home. Their study found that 53% of people surveyed would be willing to pay an extra £3,350 for a home that has environmentally friendly features. Another interesting result from this survey was that 78% of those asked also said they had a poor rating on their EPC (Energy Performance Certificate) – something now required for any home being sold. Without knowing what your EPC score is, it’s hard to know which area of your house to focus on. A Domestic Energy Assessor will be able to look around your property and prepare an Energy Performance Certificate for you. This will be rated between A – G, with A being the most energy efficient and G being the least. The average score for existing homes is a low D (or a score of 46), but there are some easy ways to boost this up to a C. If a buyer is looking for a property in your area and your house is rated as a C and others have an E rating, that could be the factor that helps them to make their final decision. The main areas of your home that will affect your EPC are the roof, your walls and insulation, windows, heating, and lighting. There are two main types of walls – solid and cavity. The majority of houses built since 1925 have cavity walls – this involves two skins of brick with a gap between them. This is more insulating than a solid wall, especially when the gap is filled with insulating material like rockwool or spun glass fibres. Solid walls needs to have extra internal or external insulation on them to really make a difference to your energy saving levels. Upgrading your windows is actually one of the best ways to improve your energy efficiency rating and it will give your home both extra aesthetic and economic value. Single glazed windows are not energy efficient, as they let out a large amount of heat. The best option is to go for timber sash windows, as not only are they good for the environment, but they are all amazingly economical. Sash windows work well in older properties too, as they are easy to install and will ensure the building still looks authentic. There are still a lot of homes with old and inefficient boilers, which can be very expensive to run and bad for the environment. These days, all boilers must have a certificate that proves they are both cost efficient and environmentally friendly. Your plumbing is another place where you could be losing money and energy. Update any wiring and plumbing in your house to ensure everything is working properly and keeping your house as energy efficient as possible.